No more stuffing all over the house or in the yard! 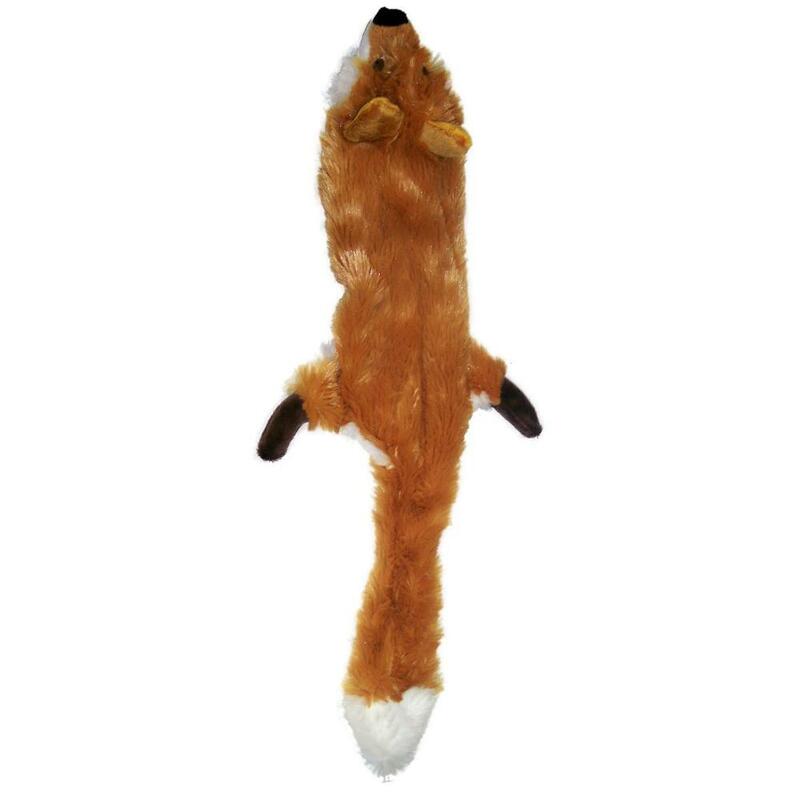 Skinneeez are stuffing free realistic plush dog toys that really bring out dog's natural hunting instincts! Skinneeez are made from a super soft silky plush material and have realistic features. Dogs will enjoy hours of entertainment - tugging, tossing, shaking, flip-flopping and squeaking these stuffing-free faux animal skins. Super soft and silky Plush Skinneeez are big 24" long and contain TWO squeakers.